*This post is sponsored by Feld Entertainment. My family received complimentary tickets to attend the event. All opinions are my own. 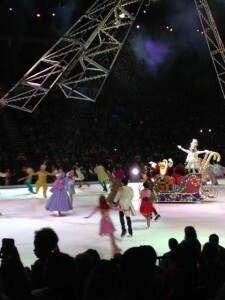 Last night, my family had the opportunity to CELEBRATE with Mickey and friends at Disney On Ice Let’s Celebrate! We had a fantastic time and loved the show. 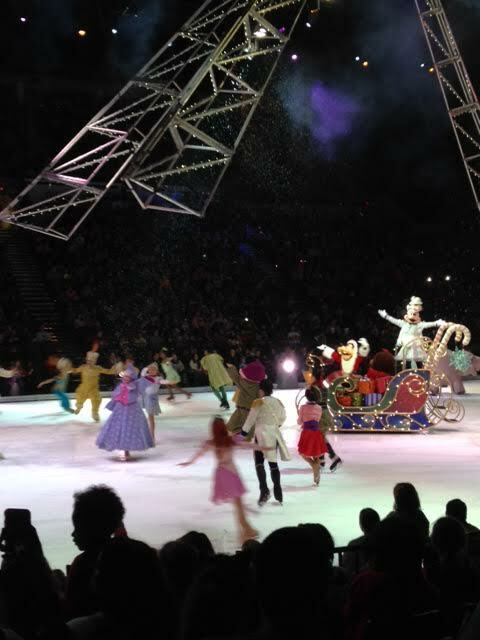 Disney on Ice is an event the whole family will enjoy! 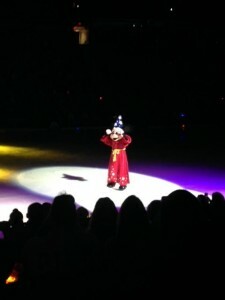 My first grade son was THRILLED when Sorcerer Mickey had a musical number. 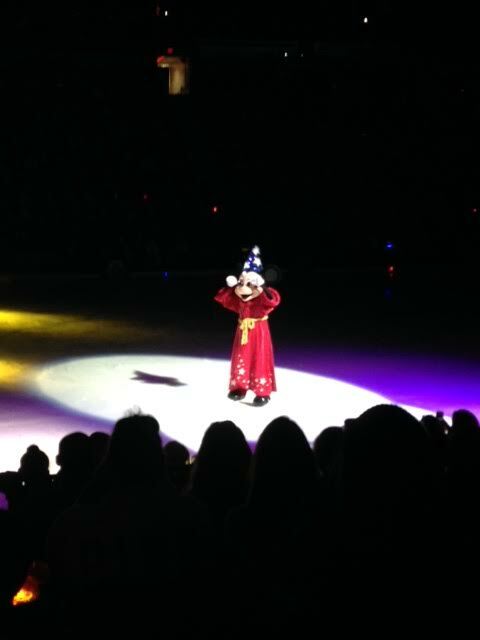 He is Sorcerer Mickey for Halloween this year, and loved seeing a rink full of magical dancing brooms. It was so fun to watch and definitely full of Disney magic! Next up was a tribute to love, as Minnie was transformed into a princess by Cinderella’s Fairy Godmother. Minnie wanted to discover how to truly know if you’ve found your true love. Nearly all of the Disney princesses and their princes helped Minnie find the answers she was looking for. This was one of my favorite parts of the show. Not only was it fun to see so many beloved Disney couples, it was incredible to watch the figure skating tricks these couples were able to perform. I also loved the ending scene of the Valentine’s Day celebration, featuring music from Enchanted and a super-fun dance number! After the break, Mickey and Minnie were back and ready for vacation! First up, they headed to Hawaii for a luau celebration with Lilo & Stitch! Lilo & Stitch has been on repeat at my house for months, so this was a family favorite. Fire dancing, surfing, and lots of Disney fun made the luau a big hit! We watched Mickey and Minnie travel to Japan, China, and Brazil before heading to New Orleans. In true Disney style, the finale is something not to be missed. While my kids were delighted to see Toy Story characters come out to help celebrate the holidays, (and Goofy makes a pretty darn cute Santa), the real treat was SNOW inside the Moda Center!! True. Disney. Magic. My family had a GREAT time and loved making memories together. The smiles from my children were magical. Seeing their excitement, hearing them sing along to their favorite Disney songs, and watching their faces light up at the magic and wonder of the show was something I will treasure. 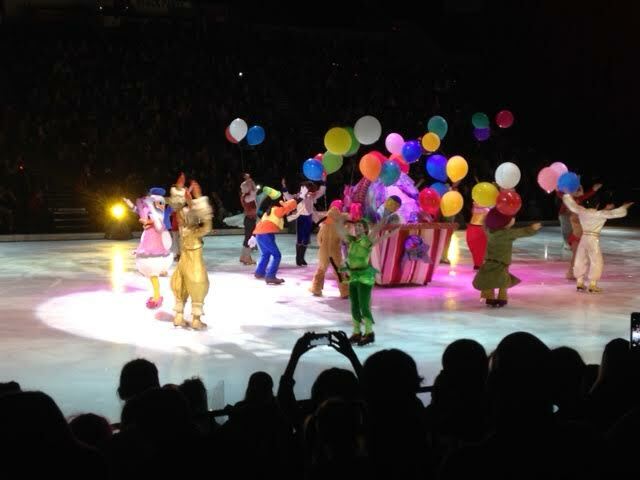 Plan on heading to the Moda Center in Portland THIS WEEKEND to catch Disney on Ice Let’s Celebrate!! *As of time of posting, there are still tickets available!! Get yours now and make your child’s dreams come true!! 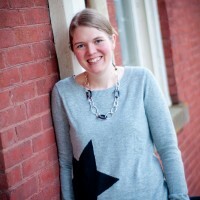 Tickets can be purchase online at RoseQuarter.com and Ticketmaster.com, Walmart and select Fred Meyer locations, charge by phone at 800-745-3000 or visit the Rose Quarter Box Office.